Innovative, Rugged, Reliable: The Honeywell 8670 | Taylor Data Systems, Inc. Chosen by New Equipment Digest as a 2017 Innovation Award winner for its design and ability to help industrial workers perform their task more efficiently, the Honeywell 8670 Industrial Hands-Free scanning device improves worker productivity, safety and comfort. The soft elastomeric finger and wrist straps are flexible and lightweight, making them comfortable and ergonomic to wear. They are waterproof, sweat proof and easily cleaned. Because they are inexpensive and quickly interchangeable, each worker can have their own straps, eliminating hygiene concerns when sharing straps between workers or shifts. The small, lightweight scanner mounts on the finger and provides fast omnidirectional 1D and 2D barcode scanning. It uses the Honeywell Ultra-Slim Area-Imaging engine, so it’s motion tolerant for even more speed and accuracy. The comfortable design provides for vibration, sound or LED lights to provide feedback to ensure accuracy and high worker productivity. 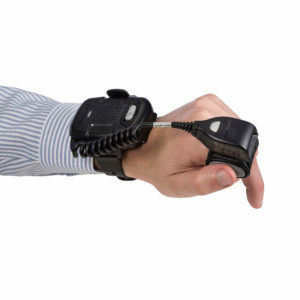 The Honeywell 8670 Wireless Ring Scanner mounts on a single finger, making it more comfortable to wear for hands-free scanning than competing devices that mount on two or three fingers. The single finger mount also provides more dexterity so the wearer is more productive and spends less time removing or repositioning the ring to accomplish tasks. In addition, the unique finger mount puts the weight on the wearer’s arm, making it feel lighter and more comfortable. Competing units put the weight on the wearer’s knuckles, leading to hand fatigue and potentially aggravating repetitive stress conditions. The side mounted scanner button increases productivity over competing designs that may accidentally fire when picking up a box, requiring a reset for each transaction and causing a loss of productivity. The device pairs easily with IOS, Android and Windows Mobile devices, as well as PCs equipped with Bluetooth receivers, and can transmit up to 10 m (33ft). Data transmission is fast at up to 1Mbits/s. The low profile, long-life battery is readily available and lasts through up to 6,500 scans and recharges in four hours. Designed for the intense workloads of a busy warehouse, the device is duty rated for 10 hours at 8 scans per minute. With a lower profile than other competing ring scanners, the Honeywell 8670 Ring Scanner eliminates the frustration of banging or knocking against racks or packing materials during operation. In addition, at only 135 grams, the device is comfortable to wear for extended periods without causing worker fatigue. 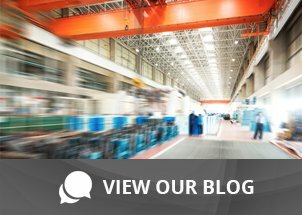 The Honeywell 8670 Ring Scanner is the leader among ring scanners for warehouse applications, and it can help improve warehouse productivity and accuracy, helping to ensure customer satisfaction.